Formed in 2008, Company Upstairs is a Perth-based project company led by the choreographic and conceptual talent of Bianca Martin. 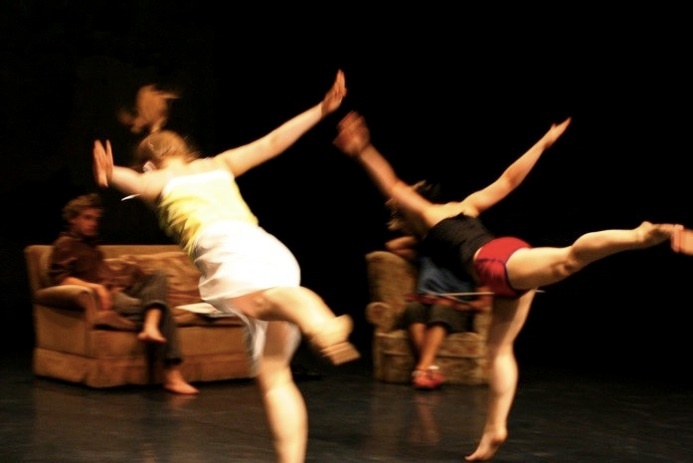 Company Upstairs’ first full length work HOME ALONE (the suburbs dream tonight) was nominated for Outstanding Achievement in Choreography and won the Award for Design and / or Composition in Dance at the 2009 WA Dance Awards. Through performance, Company Upstairs delves into the depths of our culture, morphing inspiring accompaniment, with meaningful design and humour. Each project is its own entity, harnessing the fruitful results of creative collaborations with dancers, musicians and visual artists from diverse backgrounds of experience.